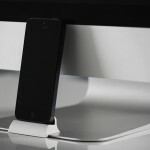 there exist a few solutions for one hand docking and undocking of iPhone, but if you want to do so elegantly, we suspect there might be just one solution: the Grove Dock for iPhone. 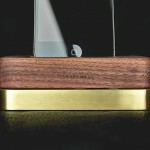 latest from the folks who dig bamboo as much as we do, the Grove Dock for iPhone is crafted from natural bamboo shell and a weighty solid steel core that offers three pounds (1.4 kg) of weighted mass so that one-handed operation, in particular, pulling out the handset won’t result in the dock coming after you. 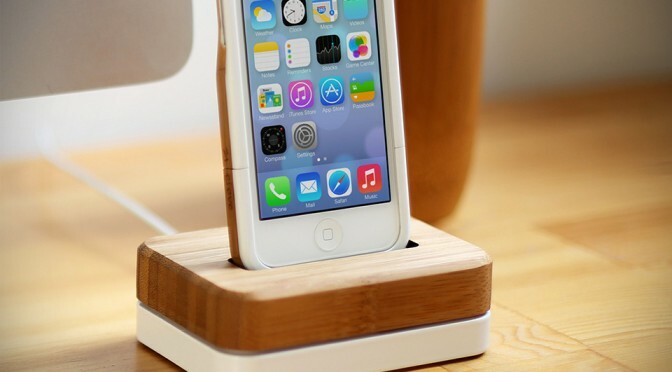 like most dock, the Grove Dock for iPhone charges your phone using your official Apple Lightning or 30-pin cable (not included, obviously), so it is essentially compatible with iPhone 4 up to the newest iPhone 5s and 5c – with or without cases. the dock’s heft is set on rubber bumpers on the bottom to keep it from sliding around. 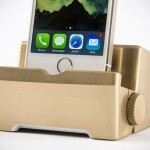 additionally, the solid steel core features hidden channel that’s designed to direct your phone’s ringtone and other audio through to the front of the dock. the hand-sanded upper shell is matched to a choice three steel core finishes: power-coated white, power-coated black, and plated silver. 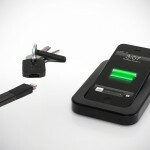 the Grove Dock for iPhone can be yours to own now for $99 a pop. take a few more look in the minimal gallery below and while you are there, do check out a humor-rigged product promo video (the funniest yet from Grove, if we might add).